Excavating and Mass Hauling | Topcon Positioning Systems, Inc.
You bring your job site need. You are in constant communication to keep your machines at their tasks. We innovate so that you're never limited by your technology. With unique Topcon excavating solutions, you get the ultimate productivity tool for every task at any jobsite. On-board information gives your operator the overview of what to do and possibility to work towards the greatest accuracy. Topcon's excavating systems provide flexibility of choice, and flexibility on the job. First, choose from any of several systems, and then configure it to suit your job needs and your existing operation. On the job, know that you can move from task to task easily and at a moment's notice. Your operator can arrange his screen view to suit the situation, with a simple touch of a button. 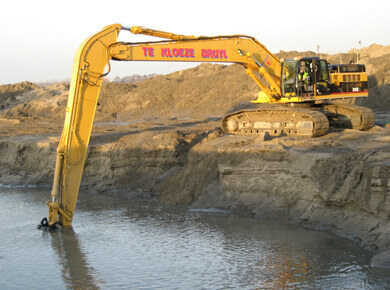 Topcon excavator systems use rugged tested components, ready for any work site condition, including digging under water. You get accuracy day after day, with systems that deliver consistency, and don't ever quit. Our [[GPS :: GNSS]] systems track every satellite in the sky, for maximal uptime even with a limited view of the sky. All Topcon 3D Excavator Systems offer rugged construction proven site overview and elevation and slope reference assistance. 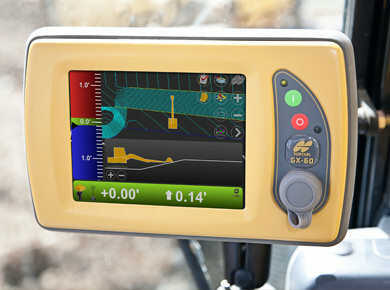 All Topcon 2D Excavator Systems offer your operator constant elevation and slope reference. 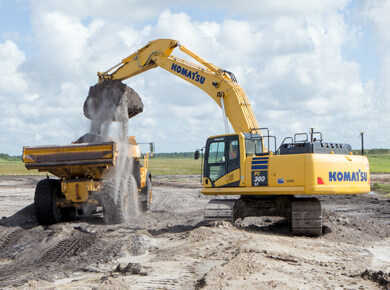 Topcon Haul Truck Systems registers every haul and connects the trucks to all others on the construction site. Topcon Wheel Loader Systems bring elevation and slope reference assistance with the operator in mind.